Smooth talk. 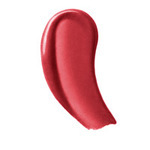 Give yourself some fabulous lip with a pure, shiny rich texture that’s never greasy or heavy. Our FlowerColor Good For You Gloss has a unique applicator tube that features the same built-in mirror as our best-selling mascaras, so there's never a time when you can't apply. Each Good For You Lip Gloss is naturally-preserved, gluten and FD & C dye-free. Power and Peace lip gloss are vegan. Castor oil, organic palmfruit stearin, shea butter, candelilla wax, aloe vera, vanilla flavor, complex Vitamin E. May contain: Titanium dioxide, iron oxide, manganese violet and carmine. I love this lip gloss. It goes on very shiny and you can make it as heavy or as light as you want. I also love the texture; it is not sticky. Last longer than most liquid lipsticks. The color options are limited but I have one of each of the colors and I enjoy them all. Got the pink. Shimmers, stays on, not sticky. Best I've found. Love the mini built in mirror and loads of shine. I love the vegan lip glosses. Beautiful color choices, and they feel luxurious and last. I reviewed two tubes of Ecco Bella lip glosses. One color was Peace and the other was Pleasure. What I love about these glosses are that either color is beautiful when worn alone and if you top one ontop of the other you will get another gloriously fun color. This gloss is not sticky and remains on most of the day. I only re-applied it after lunch and at the end of the day. I recommend Ecco Bella Lip Gloss highly! I have used the Flower Color Good for you Gloss for about 2 years. It remains my favorite. I use the passion color. It holds its gloss and holds the color. It is well worth the money.